Is there any connection between chalom חלום - "dream" and hachlama החלמה - "recovery, recuperation"? There are a number of different theories. First of all, Klein makes no connection between the two roots. He also does not connect either of them with chelmon חלמון - "yolk of an egg", chalma חלמא - "a kind of cement", chalmut חלמות - "a juicy plant" mentioned in Iyov 6:6 or chelmit חלמית - "malva, mallow". He does write that according to Ibn Ezra, the vowel cholam חולם (pronounced "o") is connected to the root חלם meaning "be healthy" and means "the strong vowel". He also points out that some scholars connect the stone achlama אחלמה to the same root, and give it the meaning "the stone that has the power of making strong". Jastrow does connect the two roots and says the common meaning is "to be soft, moist, viscous" and is connected to chalav חלב - milk. Hachlama developed from there in the sense "to have good humors, to be well". Chalom derives from a sense of "to gather humors, to sleep well". He also connects chalma, chelmit, chalmut and chelmon by discussing their connection to liquids. I guess that would be best translated as "the meaning (of chalom) is the entanglement of ideas during sleep, when they are free of the rule of the intellect." He also connects chalmut, chelmit and chelmon (and I would assume he'd put in chalma as well) by saying they have their "stickiness" in common. Kaddari mentions a theory that shows the development of the two roots as follows: was strong -> became mature -> had "mature" dreams -> dreamt. 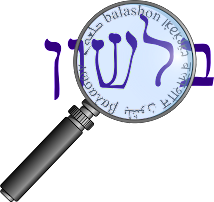 Whether or not the roots are connected, the common spelling חלם is used in a number of drashot. In Brachot 57b, it says that dreaming is good for the ill, quoting Yeshayahu 38:16 וְתַחֲלִימֵנִי וְהַחֲיֵנִי - literally "you have restored me to health and revived me", but the drasha has a play on words and replaces "restored me to health" with "made me dream". A similar drasha can be found on Brachot 55a. שִׁיר, הַמַּעֲלוֹת :בְּשׁוּב השם, אֶת-שִׁיבַת צִיּוֹן-- הָיִינוּ, כְּחֹלְמִים. This is generally translated "When God restores the captivity of Tzion, we shall be like dreamers". However, the Targum on this verse translates היך מרעיא דאתסין "we will be like the sick who have been healed". This view is mentioned by Kaddari and Amos Chacham in Daat Mikra. Shmuel and Zeev Safrai in their Haggadat Chazal write that in the Dead Sea Scrolls the the word appears as כחלומים - "as those that were healed".